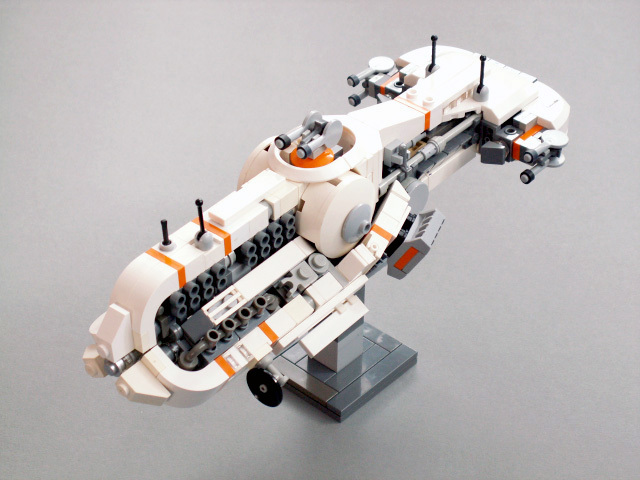 Jerac‘s latest microscale ship sports enough missile tubes to lay waste to a dozen worlds. When the missile cruiser Muisek takes up geosynchronous orbit over your city, it’s time to throw your kids in the astrovan and thank the stars you sprung for the long-range hyperdrive upgrade. One of the cooler, unique spacers I’ve seen. Nice work!